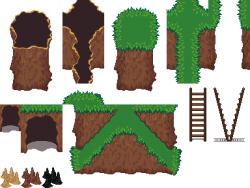 I had a use for the LPC mountain/cliff tiles, but leading up to a grass-covered area rather than a dirt/sand covered one, as in the original assets. 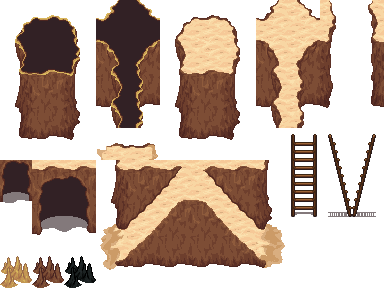 This is almost as simple as overlaying the "grassalt" transition tiles on top of it, but some the the diagonal ramps need a little bit of editing to come out ok. 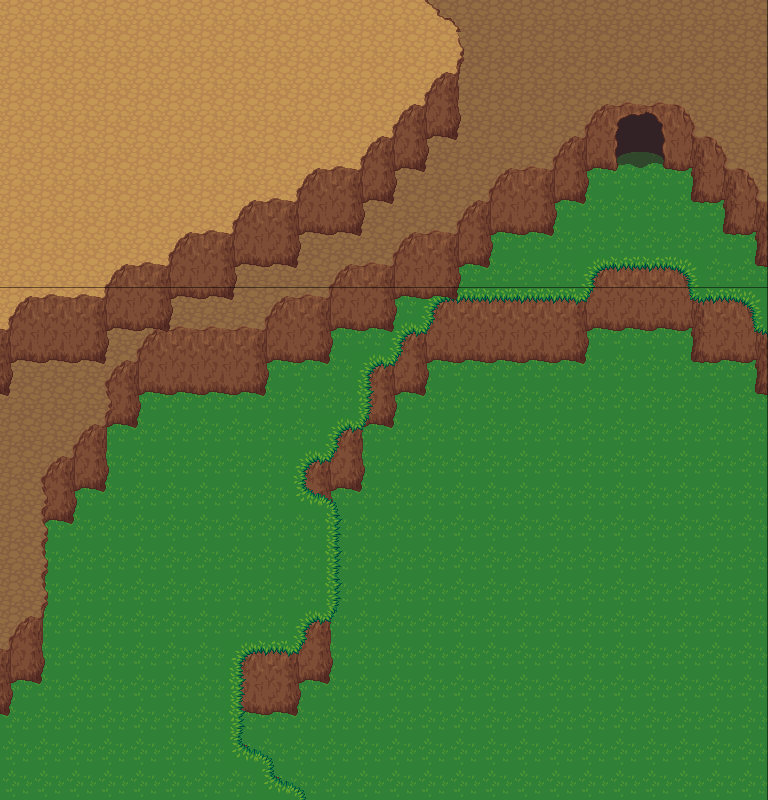 It's also a bit hard to see what the northern grass transition is a transition from, so I may tweak that a bit as well. Credit the original author Lanea Zimmerman ("Sharm") for these assets. Additionally, credit Daniel Eddeland and Wiliam Thompson for the sand. There is no need to credit me. I added two extra transitions (for dark dirt and snow). I'll probably tweak the latter one a bit later. Added another transition, this one featuring sand (the recoloured version from http://opengameart.org/content/lpc-sandrock-alt-colors rather than the original bright yellow). What's Daniel Eddeland's username? 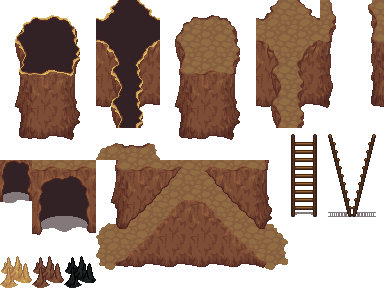 I'm building up a collection of pixel art and I need to list him as a collaborator.